At the Harlem Center for Aesthetic Dentistry, patients can expect comprehensive general dentistry to enhance dental health and wellness. The cornerstone of this general dental care is the routine dental visit. While many people take these appointments for granted, they can accomplish a great deal when it comes to your dental health and wellness. Even though you only visit your dentist twice a year, it can make a major difference to your dental health and general wellness. During your dental visit, you undergo a number of treatments and services that you cannot possibly achieve at home. As you are about to read, the routine dental visit does so much for your overall dental health and wellness. During your dental visit, you will have dental x-rays taken. These dental x-rays are done in order to fully assess the health and wellness of the teeth, jawbone, and other structures of the mouth. By taking x-rays and using other advanced diagnostic systems, a dentist can determine what your dental health challenges are. Even if you brush and floss regularly, a professional dental cleaning can go a long way toward improving your overall wellness. During the professional cleaning, a thorough flossing will be performed, an electric brush will be used to polish the teeth, and minor scraping will be done in order to remove plaque and tartar buildup. In addition to using x-rays and state-of-the-art diagnostic techniques, dentists will also check over your teeth and gums closely. This will mean checking for chips, cracks, and stains of the teeth as well as lesions, sores, cuts, and discoloration of the gums. Noting any issues such as these will allow dentists to see if a patient suffers from a pressing dental health matter. A dentist can't always tell if something's wrong simply from using x-rays and examining the teethe and gums. This is why patients should use their routing checkups as a way to discuss any pressing matters on their mind. This includes mentioning issues of chronic bad breath, dry mouth, or jaw pain. By mentioning issues such as these, your dentist can look into these matters further. Dentists won't just listen to your concerns, they will also share topics that are on their mind. This includes tips on what dental products to buy, what products to use, and what kinds of foods you should avoid. These do's and don'ts can improve your dental health for years and years to come. 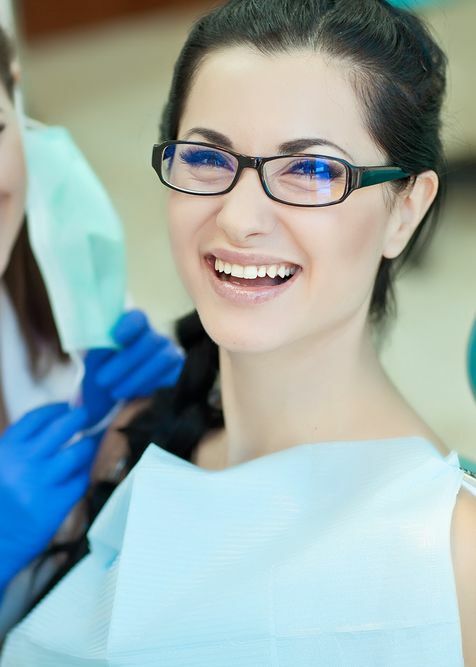 In addition to the treatment that's performed as part of the dental visit, your dentist will also provide a full rundown of your future dental care needs. This will allow you to have realistic expectations about your future dental care needs, giving you information on the risks and benefits of procedures. If you would like to learn more about how routine dentistry treatments can enhance your appearance and total wellness, be sure to contact our dental care center today. The entire team here at the Harlem Center for Aesthetic Dentistry will work closely with you to improve your overall dental health and appearance.